Xenophobia, the fear of that which is alien, different, or strange; it is xenophobia that drove the reptilian natives of Sua’kul into the arms of an alien force even more terrible than that which they feared. Driven by a radicalized ideology and malevolent intervention, the new order on Sua’kul has become a threat to the Empire. In response the half human and half Illani noble family of Valor has been dispatched to subdue the planet before it can become another front in an ever expanding war of alien aggression against the last vestige of human civilization. 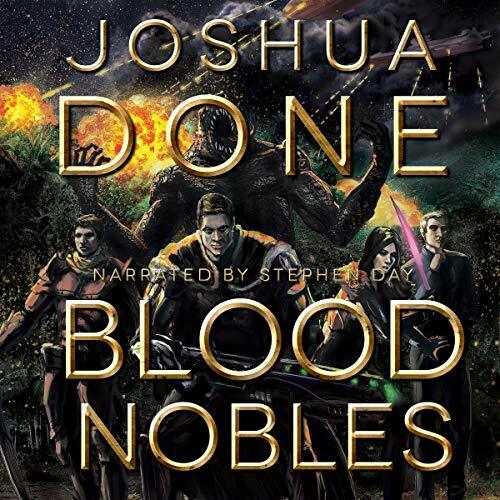 Occurring one year after the events of Empire Ascensions, Blood Nobles follows a new cast of characters in their quest for glory and the safety of their civilization. But while new heroes will rise, an old enemy will rise as well, one that almost exterminated the human species once before.